I was on the market for a watch that I could wear daily after having spotted some beautiful arm party pictures on blogs & Pinterest, when Daniel Wellington asked me whether I wanted to try one of theirs. I had already been browsing their website after seeing their watches plugged often on outfit pictures; I knew immediately that I loved the timeless and effortlessly chic look & feel to their watches with leather straps. So needless to say that I was pretty stoked with their perfectly timed proposition. I chose the Classic Sheffield Lady with a rose gold case: it goes perfectly with any look I'm wearing (although truth be told my closet contains 75% black clothing) and is both chic and casual at the same time. 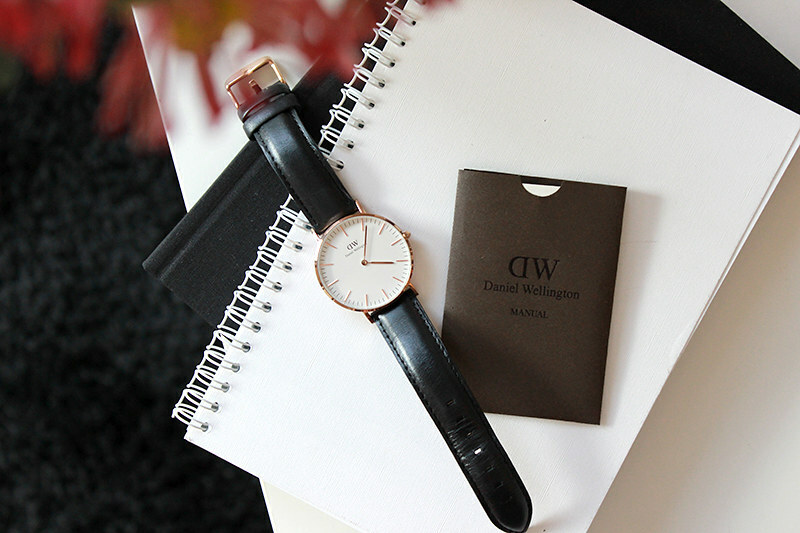 Daniel Wellington watches are sold on their website with free shipping (from Sweden, so there's no import duties when you're ordering from the EU) and took three days to arrive at mine by courier. The strap was a little stiff at first, but now that I've been wearing it daily for a month it's much more supple. 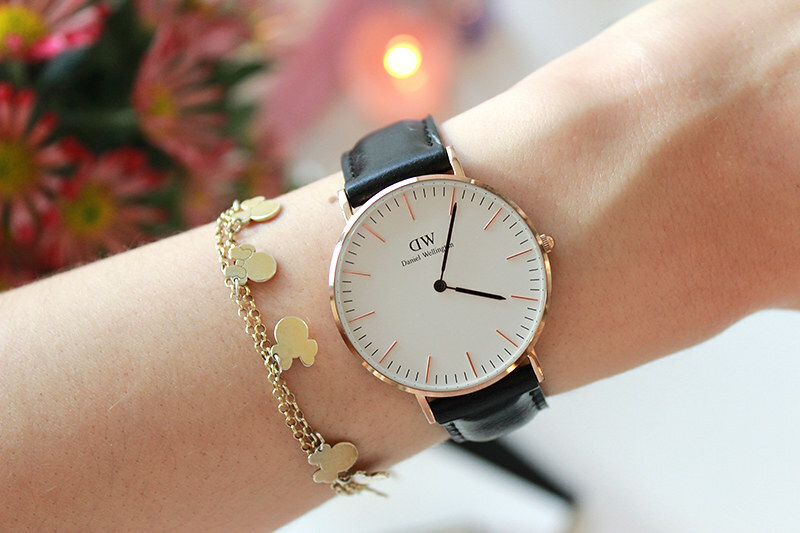 I love the big size of the case, I have small wrists and love the oversized look. When shopping you can choose between silver or rose gold case details - of course I just had to pick rose gold since I've been all about that colour lately. It's seriously pretty. As for the strap I knew exactly what to pick: a black leather strap seemed the most versatile and timeless to me, a colour I wouldn't quickly get bored of. During Summer time there's also the option of changing the leather strap for a colourful nato strap - with sunny days right in front of us I already have my eye on the Winchester strap already. I'll be using this watch for many years to come, I am sure. Get 15% off with code 'MINNEBELLE' until March 15th. Coupon code is not sponsored and does not earn me referral income. Full disclaimer here.